Roll back just 20 years, and Kingston Upon Thames was still considered a leafy London suburb, more Surrey than city. But the capital continues to spread outwards, and nowadays the outer suburbs such as Kingston, Twickenham and Croydon are just as much a part of London as Big Ben and Wembley. The good news is that we’ve grown too. 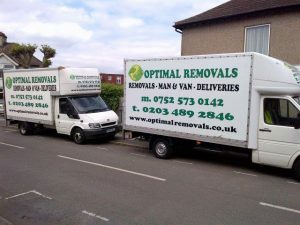 We cover the whole of South West London, including areas south of the river such as Kingston. In fact, the town is just 10 miles from central London. Because of slightly lower house prices, Kingston, Surbiton and Wimbledon make a great place to find an affordable starter flat or apartment for a young couple. Let us know when you’re moving in and we’ll set you up in your first property. But Kingston has also preserved its more illustrious past, and there are some stunning Grade II listed buildings in more affluent areas. So if you’re moving out from Central London to your dream riverside mansion, we’re the professional, friendly team you can trust to get the job done. We’re reliable, experienced and will always treat your most treasured possessions with care. We cover all areas in Kingston, including the busier neighbourhoods such as Canbury and Grove. We know that once you’re underway in the city and suburbs, you just want to get everything loaded and uploaded in the quickest possible time with minimal interruption. That’s why you don’t want a team that is unfamiliar with the special requirements of a city move.